This is our first time to travel to central Asia. We have different language and culture with central Asia, so very thankful for Anur tour to help us planning the trip. We have 8 people want travel and bike in some cities which made us more challenge to plan the trip, but Mr.Mumin help us a lot,give many useful idea to us. He arrange two very nice, knowledgeable tour guide to us, comfortable hotel, safe driver,good arrangements of tour. Let us enjoy the trip and see the beauty of mid Asia. I think I would visit again with Anur tour. Thank you Mumin, Diana and Timo. 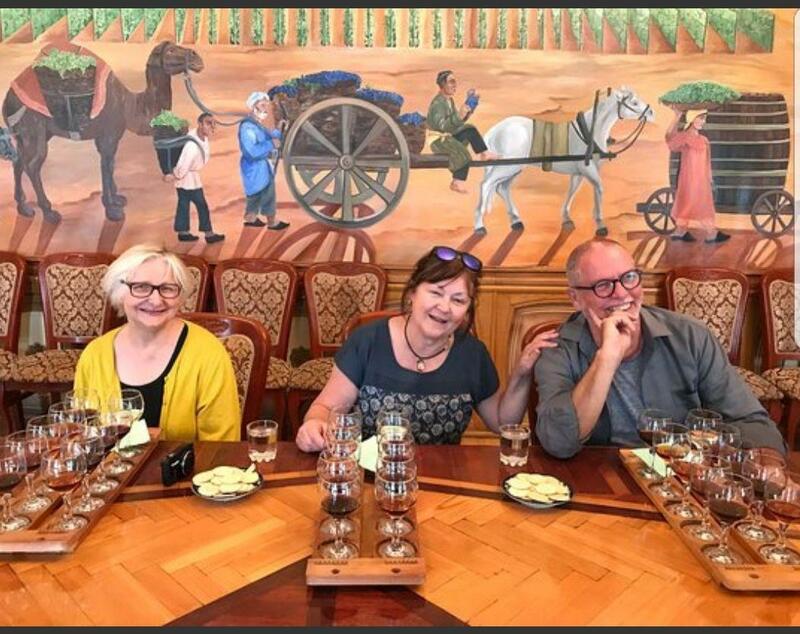 Our wonderful visit of Uzbekistan (Tashkent- Urgench / Khiva - Bukhara - Samarkand- Tashkent) was entirely organized by Elina Shaposhnikova, of Anur Tour in Tashkent. Thanks to Elina’s good advice and knowledge of Uzbekistan, but also to her professionalism and remarkable efficiency, every step and moment of our trip was as successful as it was flawless. All internal flights, train rides on the Afrosyab fast train, bus transfers and hotel bookings were perfectly well booked by the Anur Tour team and were always on time. In particular, Elina’s choice of our excellent guide (Tulkin Amirovich Ergashev) was a great asset towards the success and our appreciation of our visit. We will gladly rely on Elina’s and on Anur Tour’s knowledge and experience of Uzbekistan and its neighboring countries for our next visit in that part of the world. Above and Beyond. True excellence. Extraordinary service by Anur Tours. This was my second visit, first time was last year. I had to come back to this truly magical, remarkable and unforgettable country. Thank you Anur Tours! Zarina provided first class service, extraordinary indeed. Mr Umid, my guide, went above and beyond, exceeded my expectations. Highly recommended. I happened to find Anur Tour on the Google Search and their service was beyond my expectations. My family trip to Uzbekistan became one of my unforgettable moments in my life because I can make my wife and my mom happy during the trip. The service and arrangements was great, we got minor issues with the hotel, but it was not a big deal because we still enjoyed the trip. They even gave us surprise in the end of the trip, what a remarkable service to end my visit in Uzbekistan. Just returned, 30 May 2018 from 7 days visiting the historical sites of the country organised by Elina from Anur Tours.Excellent service.. picked up by driver at all locations then the guide , who spoke brilliant English on all the 5 occasions we had them. Knowledge superb... even a sense of humour ! Nothing too much trouble.. helped us enjoy the experience of the country and it's customs. All hotels booked were fine, food great and inexpensive even at the hotels apart from Tashkent.Leave enough time for at least 2 whole days in Bakarah... a brilliant place. Elina even rand the hotel on 2 occasions to make sure everything was in order and we were enjoying the tour. Tour, Guides all 5 star. No worries as to entry / departure... no forms to complete, no letters of introduction all scrapped, just walk through customs and off you go and enjoy. Simple trick - can book internal flights online at a great rate and e tickets do work. Anur Tours, under the direction of Ms. Elina Shaposhnikova, facilitated visas, lodging, internal travel, and tour guides for a memorable 7 day trip around Uzbekistan. Highlights included the museums, madrasas, mausoleums, minarets, mosques and markets in Tashkent, Khiva, Bukhara, and Samarkand. Personal guides in each city covered the major events which defined the development of the famous SILK ROAD: the expanding empire of Alexander the Great (4th century BC), the arrival of Islam (7th & 8th century AD), the riotous destruction of Ghengis Khan (13th century AD) and then the flowering of the Silk Road under Amir Temur (14th century AD). Guides also provided interpretation of Uzbekistan's modern development covering the influence of the neighboring Russia from the 19th century through the nation's independence in 1991 as a flourishing nation of Central Asia. To quote a fellow tourist: "Travelling in Uzbekistan is like being in the movie -- "Aladdin". d on time and were excellent. Take a few days in each place without a guide and explore it yourself, the guides are full of information but it can overload the brain a bit. Help the guides to work at your pace, get them to stop for a cup of tea or lunch when you want it. Its usually then that you get to know about Uzbekistan and its people rather than the detail of its history (interesting though that is). Finally 10 out of 10 for Elina who was our point of contact throughout. Helpful at every stage. Enjoy your trip and dont forget, go now rather than in 10 years time. Hi there. I am interested in this tour as I have never been to the stan countries. When is a good time to go? I would prefer cooler weather. Also, if nobody goes with me, then I will go alone. I recently had a very brief stay in Uzbekistan and can't recommend Anur Tour highly enough in words. Due to my short stay of a little under 2 days i didn't leave Mumin with much to play with but he still came up trumps. I had a day sightseeing in Tashkent and a short train journey to Samarkand with full guided tour there too. Everything went like clockwork, both guides spoke excellent English with a real passion for what they were saying and were extremely knowledgeable. All the drivers were early and i was never in danger of missing anything. When i return to Tashkent i will definitely be giving Mumin and Anur Tours another call. I chose Anur Tour after a lot of searching for a trip to Uzbekistan and Tajikistan with a friend, and other people seemed to have a great experience with them. Great if anything was an understatement. Elina answered all of my questions with seemingly bottomless patience in my emails, and once there we had a wonderful time. All hotels were great and in every place we had a guide or driver there to meet us, who were all hugely informative, as well as very nice. Elina met us in person when we arrived in Tashkent and again when we left - she even bought us a delicious dinner! Top marks. Really excellent. Look no further! From the start, Elina was responsive and attentive to our needs. She gave us suggestions to make our trip better. We only confirmed our trip after a few months of exchanging emails and also made a last minute request. Nevertheless, Elina was very patient and efficient. She met us on the first day of our trip at the airport, very early in the morning to pass us our train tickets and brief us. She had us at hello. Throughout the trip, she checked in on us and we had her personal contact number in case we had problems. We took a customised train tour, covering Tashkent, Fergana Valley, Khiva, Bukhara and Samarkand. The co-ordination of the trip was seamless, with someone always waiting for us on time at various train stations. The local guides were very knowledgeable about their cities and shared interesting stories as well as insights into the lives of the Uzbek people. They also suggested good local places to eat. Even the drivers were friendly and helpful. We loved the hotels suggested within our budget, most of them (the ones in Tashkent, Bukhara and Khiva) were all within walking distance to the places of interests. Rahmat (thank you) Anur travels for a memorable trip. They have such a great team. I booked my trip to the Central Asia with Anur tour for a 2.5 weeks trip across the Central Asia. I am glad that I used Anur Tours t plan my trip. I went to Kazakhstan, Kyrgyzstan, Tajikistan and Uzbekistan. I was planning to travel to Turkmenistan but they are notoriously famous for rejecting visas with no explanation. While on the tour I found out that my visa for Turkmenistan has been refused. The Managing Director of Anur Mr. Mumin came personally himself to my hotel along with Zarina, my tour coordinator to explain the situation and offer alternatives which was very kind of them. Anur helped organize the day trips and the hotel reservations. From the time I landed to the time I departed there was flawless coordination at each travel destination. Most of the tour guides were excellent, the others were very good. What I liked about the guides were they didn’t want to take me to shops to buy things and that was a Big plus. While in Tajikistan, I got a Kidney stone pain and I was so humbled by the care provided by the guide Shahboz who took me to the hospital and spoke to the doctors. I would high recommend anyone planning a trip to Central Asia or Uzbekistan or any country in the region to work with Anur tours. They made it a worthwhile experience! I cannot say enough wonderful things about Anur Tour. Everything ran perfectly. They even helped me celebrate my birthday while I was travelling here. For the rest of my travels in Central Asia I will be using their services again. Thanks to everyone involved. If I could leave a ten star rating I would! Not a fan of organized travel myself, but having decided to take my parents and my aunt (all >60) to Uzbekistan and Turkmenistan for my mom’s 70th birthday, realized I’d have to be realistic about the logistics thus I decided on a private tour. Did some research online and chose AnurTour due to excellent reviews and prompt response. I tried to call a few other tour operators, and AnurTour was the only one that had a salesperson who answered my call immediately, and in fluent English as well. Excellent reviews and prompt response go a long way, yet it’s their flexibility that earned them five stars. I always travelled independently in the last twenty years (except once with another organized group in Kamchatka but that’s a totally different story as it only offered fixed itineraries so you’ll see why). I’ve already had a list of places in mind for ages before this trip coz I’ve been planning a trip there for over a decade. So I asked them to include all the cities/towns/sights I named, they came up with an itinerary in no time, along with all the estimated journey time re car rides and the domestic flights, which was priceless, because info from the few online sources regarding the domestic flights and the actual journey time by car was often wrong as I found out later. They also arranged the drivers and vehicles, hotels and visa application etc. As I previously planned to travel independently, logistics in the stans was one of the key risk areas I identified after years of planning. AnurTour came up with a viable plan very quickly and all the planning, booking and visa application went smoothly. We were only required to wire them a small % of the total amount due before arrival. Couldn’t be bothered to check hotel prices since hotels they booked were reasonably nice it didn’t feel like a rip-off at all. AnurTour also suggested us to use different local guides in different regions to help cut costs, probably one of the main reasons why I found the price reasonable. Prices are very reasonable everywhere if you haggle well for souvenirs but that’s up to you not the company. Most of the guides arranged were friendly and knowledgeable, all of them spoke fluent English. Most drivers seemed reliable too. Main problem was that the guides didn’t usually travel with us inter-city, and the drivers didn’t speak very good English. So, the inter-city logistics was confusing at times. Although Elina, our organizer, was very responsive, we couldn’t reasonably expect her to pick up our calls 24-7, bad reception didn’t help either. I was going to deduct one star but added 1.0 back because a) the arrangement helped save so the confusion in logistics was kinda inevitable $; b) confusion provided an added sense of adventure coz we did get some alone time; and c) our guide in Bukhara happened to be the sister of the chef of Doston House, a famous restaurant, which we wouldn’t have found if not for her (booking recommended). Their itinerary included all the places I wanted to visit, seemed hectic in the beginning, but our group of four aged 70, 69, 62 and 34 coped comfortably. - Keep everything piece of paper they give you at the customs, every certificate re carpets or special items you bought esp. in Trukmenistan, and every receipt/cert they give you when you change money. You will need them at some point. If AnurTour could have pointed these out before our trip, I would have raised their rating from a well- deserved five star to a, I don’t know, a perfect five? Anyway, thank you very much AnurTour and Elina, the elders were very happy with the trip. Magnifica experiencia, desde el primer correo electrónico que envié hasta que regresé a casa. La señora Elina de Anur Tour organizó todos los detalles de mi viaje, me asesoró y decidió conmigo los destinos previa consulta e intercambios por correo electrónico. Seleccionó muy buenos hoteles, bien ubicados, limpios, con buenas camas y excelente atención. Contrató los guías y choferes profesionales y cordiales que me acompañaron en mi recorrido, todos puntuales, muy agradables y buenas personas, con un gran conocimiento del oficio. Elina, me ofreció opciones de visitas basada en mis preferencias personales: yo le había dicho que me gusta cocinar y me ofreció clases de cocina, por ejemplo. También tramitó mi visa. Uzbekistán es un bello destino pero es necesario contar con ayuda local para recorrerlo: compra de pasajes en avión y tren, reserva de hoteles, traslados a través de kilómetros y kilómetros de desiertos, etc. Anur Tour and the guide Umid exceeded all my expectations! Anur Tours and the guide Umid made my visit to Uzbekistan a truly remarkable experience! Unforgettable memories of this amazing and breathtaking country. Great service, very well organized, flawless and the guide Umid was very knowledgeable. The tour was indeed educational. Definitely will be coming back and truly recommend it. Fantastic, well-organized, good value tour! This tour exceeded our expectations - everything was SO organized and flowed so smoothly. I thought that it was good value as well. I loved the hotels that were selected. Zarina was so responsive and designed a tour specifically for our interests in food. I never ate so well in my life. The buffets at the Serena hotel in Dushanbe, Tajikistan were the culinary highlight of the trip. For that reason alone, I would suggest that this hotel be used for future guests who like great food. My favorite spots were Bukhara, Uzbekistan and Ashgabat, Turkmenistan. Bukhara for the magical atmosphere, the terrific culture show, and fantastic souvenirs - particularly the very inexpensive but beautiful miniature paintings (I bought 8). Ashgabat was a striking white marble city unlike any other I have seen in the world. I am impressed by all the good the president of the country has done for his people. Flying into the city at night with all the gleaming, orderly white marble buildings and brilliant neon lights was such an experience. I have never seen so many impressive monuments. The city was spotlessly clean as well. We also enjoyed the well-planned cities of Almaty, Kazakhistan and Bishkek, Kyrgyzstan and their settings against the mountains - they had so many parks and restaurant options! We survived the border crossing at Turkmenistan and examination of our 20+ drugs by labeling everything for its purpose and smiling a lot. But a visit to Turkmenistan is one that you will not forget. Ashgabat is one of the most fascinating cities in the world (out of the 120 countries we have now visited). We travel a lot, but would not be able to do this tour on our own due to language difficulties and so many transfers (all which went perfectly). My favorite guides were Elmira in Kazakhstan and Govel (sp?) in Turkmenistan - they were just superb and so knowledgeable. I give our highest recommendation for Anur tours! Our 8 day private tour ranged from Khiva through Bukhara and Samarkand to Tashkent. We had a driver and local guide each day. Everyone was lovely. We were very pleasantly surprised at how we were received. The service was impeccable. One day we went to the Hazrati Dovud which was not in our guide books and a cultural experience not to be missed! Elina who arranged our tour had recommended it. Our guide was amazingly helpful in getting us entrance despite the crush of people trying to visit this important pilgrimage place. Khiva was our favorite city by far with its intact walls and hotel quite near the old city. Don't skip it even though its a bit off the beaten path! Elina checked in with us along the trip and had arranged everything perfectly. This is a tour we won't forget. We'd recommend it to anyone looking to explore this beautiful, and historic region. Excellent! We were absolutely thrilled with the fabulous service provided by Anur during our 7 days/6 nights in Uzbekistan. Unforgettable experiences discovering a fascinating country were accentuated by the impeccable service both in the lead up to our trip with the organizing, and during our stay. The lovely and efficient Elina communicated quickly and thoroughly with every request and detail. We had quite a few requests, as we opted for a personal Italian-speaking guide throughout, and a dedicated driver for our small group of 4, but still wanted to keep our costs low. The suggested hotels booked and itineraries confirmed were perfectly catered to our needs, and all exceeded our expectations. The trip went flawless. All sites were spectacular. Our guide was always helpful to point out 2-3 options for excellent nearby restaurants without insisting on a personal choice. There was never the slightest delay or wait checking in or visiting any site/museum, etc. We greatly appreciated the personal touches offered by Elina and Anur, and were especially thankful for the kind greetings they arranged upon our arrival in Tashkent, and eventual (sad) departure. Anur is highly, highly recommended and have definitely earned their Number 1 position here! We promise to send friends and family your way! We e-mailed Anur Tour in February to organize a 10-day Tashkent-Samarkand-Bukhara-Khiva-Muynak/Aral Sea tour with personal guides and drivers in May. Ms. Elina from Anur replied promptly with an outline for such a trip. Over the next weeks we worked out the details for daily itineraries, hotels and domestic transportation. In the end our program was exactly what we had hoped for. For simplicity we choose to have Ms. Elina book all travel arrangements within Uzbekistan, including train and air travel. Once in Uzbekistan Ms. Elina met us personally to deliver the travel documents. Later she called regularly to see if everything was well. The tour itself went like clockwork. Everything was perfectly organized. Our guides and drivers were always waiting for us when we arrived in different cities. We thought our program was rather ambitious but thanks to Ms. Elina's good planning it seemed easy. We highly recommend Anur Tour for quality and worry-free holidays. We had a very good trip for 1 week in Uzbekistan, covering Tashkent , Samarkand and Bukhara as a family with 1 kid (8 years old). The planning was perfect , with prompt response and very supportive staff. The execution was flawless. The cars and guide were all helpful and knowledgeable. The visa and train tickets were well arranged. We got good recommendation on hotels, places to eat and shopping. The proprietor Mumin was excellent in every way. They made our trip memorable and enjoyable. Highly recommended. Uzbekistan is a lovely, friendly country with beautiful historical sites and buildings, especially the Silk Road cities. Anur Tours organised a tailor- made tour for us, and we were really happy with their services: hotels, railway tickets, transfers by car,... It was all very well arranged! Ms. Aziza, who was our contact person, also gave us a warm welcoming and had good suggestions for activities and sights, upon arrival as well as during our tour throughout the country. Thank you so much! Since we spoke neither Russian nor Uzbek language, we looked in the Uzbekistan TA Forum for suggestions and contacted Adantour, Xoroson and Anur Tours for quotes. They all made professional proposals. Since I am a DYI, budget minded traveller, I found Anur Tours’ offer the most reasonable. Luckily a fellow Torontonian had used their services and wrote a very positive report about Anur in his TA report. I managed to talk with him on the phone and chose Anur. Anur booked all our hotels that we selected ourselves, again using TA reviews and arranged for all the transportation and transfers. They also provided LOI at no extra costs. Now about AnurTours ! The owner, Mr Mumin, is a very personable and reliable person. Our experience was very pleasant and problem free. The transfers, train and plane tickets even tickets for a performance at Alisher Navoi Opera were procured by them. Mr. Mumin was only a phone away whenever required. The most critical episode of our journey came at the very end when we had to clear passport check at the Tashkent airport. Uzbekistan visa regulations are very strict. Our visa was expiring at mid-night and our flight was scheduled to depart at 2:45 AM. Mr Munim foresaw the problem and if it were without his negotiations with the concerned airport authorities to process our exit earlier than usual check-in, we would have been stuck. This would have completely marred a beautiful trip for us. My wife and I, therefore, will highly recommend Anur Tours for their cost-effective, professional services. We recently returned from a wonderful 15 day trip to Uzbekistan. Our programme included Tashkent, overnight train to the Castles in the desert, Khiva,-flight to Bukhara,train to Samerkand,train to Tashkent. Anur Tours did all our organization tickets, hotels, guides, taxis for pick ups even to the last day in Tashkent tickets for the ballet.Their expertise made the whole holiday go like clockwork. Together with the amazing architecture, art work,fantastic colors and the warm hearted people we met, made it a trip to remember. A special thank's to Aziza who arranged everything with prompt reply. Uzbekistan, a very unfamiliar place for us and we all departed our home with great anxiety. However, when we arrived for a few days, our worries were all gone. Not only the country itself is very safe, the friendliness of the people there was beyond my imagination. We would like to take this opportunity to thank Anur Tour for giving us such an unforgettable trip along the old silk road. We visited all the way from the west to the east of Uzbekistan, and we were deeply thankful to Aziza (Anur tour’s manager) for her organization (including the LOI) of the tour. In Muynak, we reached the former world's fourth largest lake, the Aral Sea, which has been losing water for half a century and nearly disappeared from the map. In Nukus, we visited the Savitsky Museum which collect more than 90,000 exhibits, including a collection of Russian avant-garde artists and the art of ancient Khorezm. All of these gave us a wonderful experience. Ayaz-kala yurt camp was a very pleasant place for us, the three Ayaz-Kala fortress, sunrise together with the sunset were very pleasing. We also missed the night with tons of shooting stars flying over our head in the village of Asrof, where we spent a whole night watching stars. Of course, the three ancient Islamic city- Khiva, Bukhara, Samarkand- are the highlights of our tour, we couldn’t help but love them. Anur Tour gave us an extraordinary tour over all in Uzbekistan. We were deeply impressed by the ancient Islamic edifice, and the unique culture of Uzbekistan. The people there also treat us with great hospitality, which we will never unforgettable. we look for private tour to see the highlightsc of Uzbekistan. We will be 2-5 persons we plan on September 2016. We need too flights from tel avive and viza. Can you give us any offer? 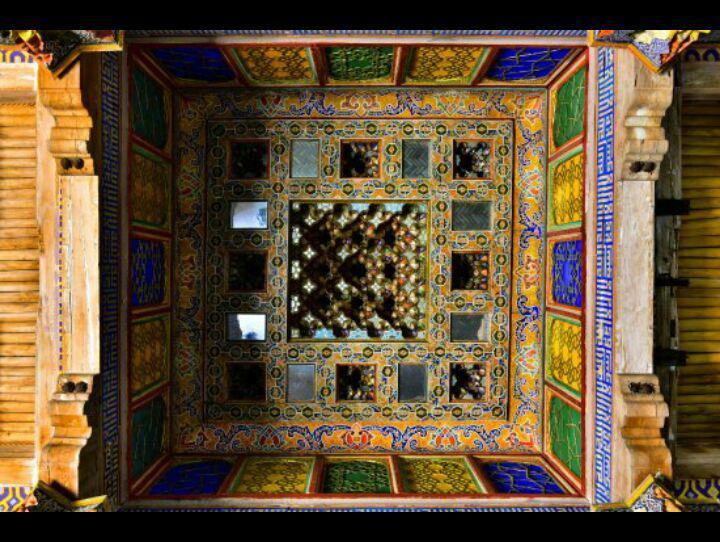 You have really made me want to go to Uzbekistan and esaleiplcy Samarkand which I had read about as a kid. When I was growing up, we actually had geography classes. It was after I graduated from high school that they folded Geography into Social Studies. And from that time on, Americans knowledge of geography has gone downhill. So I am glad that you tried to get kids excited about geography and traveling the world. Dear Anur tour, i'm interested in Boysun Bakhor festival , samarkand and Termez with the buddhist sites...if you already know the dates of the festival could you plan a tour for me ad my girlfriend?hope to heard from you soon...best regards, Gaddo. 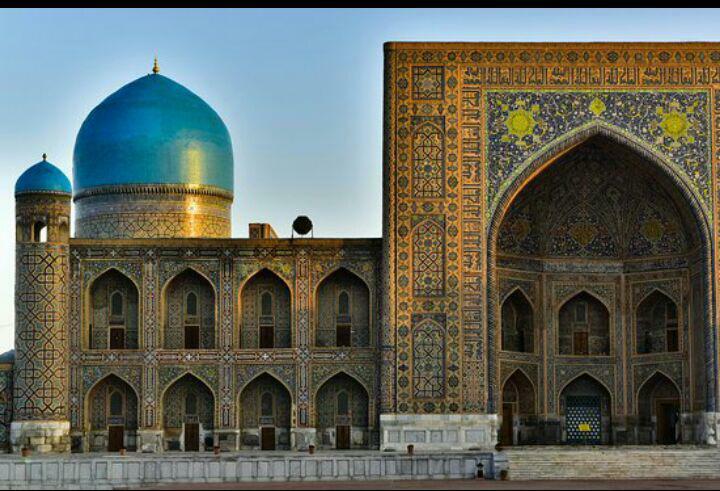 I am interested in the 8 day tour "Ancient cities of Uzbekistan and Turkmenistan". Please advise on tour dates and pricing. My husband and me are interesting in a travell visiting Khiva, Bukhara and Samarkanda. We'll arrive to tashkent on 20th june 014 at 6,30 AM and we'll come back on 28th June at 8,15 AM. We prefer hotels 4-5*. We´d prefer spanish language guide.